The Kind And Safe Schools Initiative provides bullying prevention and character education activities for schools. 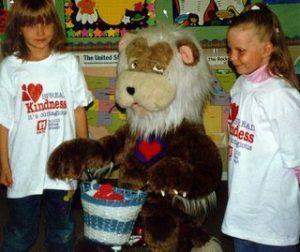 The Kind And Safe Schools Initiative is an award-winning character education and bullying prevention program is based on outcome research gathered from over 125 schools. The character education part helps create a positive school climate that gives increased attention to pro-social behaviors. It is recommended that a school begin by focusing on creating a positive school climate before trying to reduce bullying behaviors. Our findings indicate that when a school implements KASSI in this way, bullying behaviors almost immediately go down by 30% and put-downs are reduced by up to 94%. By implementing the three-part program over two years, it is possible to virtually eliminate bullying and put-downs in a school. 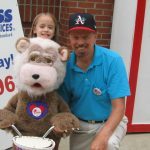 KASSI can be implemented as a part of a community-wide Kindness Campaign or be a stand-alone project in any school. 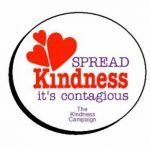 The community-wide Kindness Campaign is often so effective that the organizers naturally want to expand and extend the community-based principles and philosophy more deeply its schools. Either way, the steps for implementing KASSI in a school are summarized below. 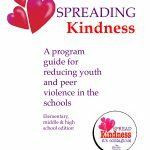 You will need to purchase Spreading Kindness Volume I: A Guide for Implementing the Kind And Safe Schools Initiative from our store via PayPal and then download it to your computer. This Program Guide gives you a step-by-step process to guide you in implementing KASSI in your school. There are two additional program guides that you will need to purchase in order to fully implement KASSI. Below is a brief summary of these initial implementation steps contained in Volume I: The Implementation Guide, plus indicating how the additional program guides might be utilized as part of the complete implementation of KASSI in your school. Begin planning the project and establishing initial timelines for each step in your Implementation Plan. In order to implement the complete KASSI program for your school, you will also need to purchase Spreading Kindness:Volumes II and III of the program. h. Create an Evaluation Plan for KASSI in your school and conduct on going evaluation of outcome criteria. Volume I will provide you with all the information you need to create an Evaluation Plan, including the evaluation instruments.